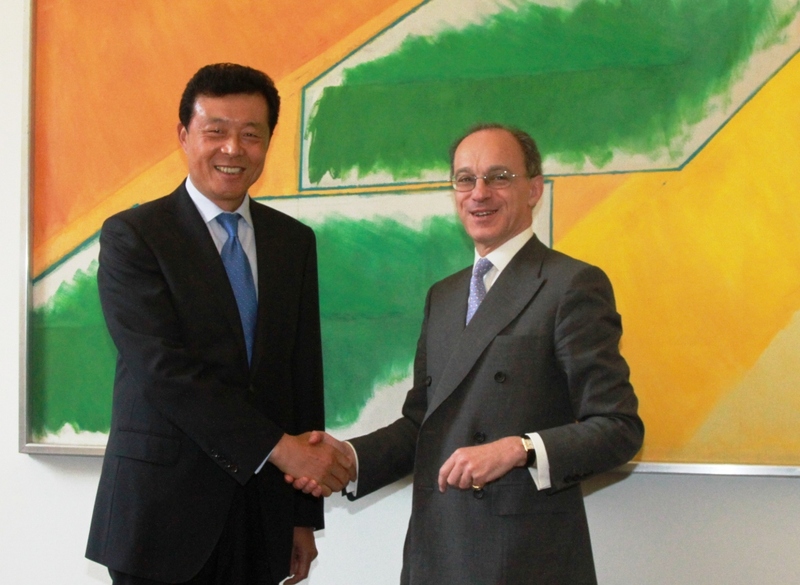 On June 14, 2011, Ambassador Liu met with Lord Sassoon, Commercial Secretary to HM Treasury. Ambassador Liu said that since the British coalition government was in place,China-UK relations have enjoyed a healthy development and the economic and trade cooperation between the two countries has been constantly intensified. China was willing to make joint efforts with the UK to deepen mutual trust, expand cooperation and take the economic and trade relationship between China and the UK to a new level. Enormous potentials in infrastructure development remained untapped in China-UK cooperation. Some businesses in China, who were willing to go to Britain and participate in the infrastructure projects, looked forward to a more favourable environment provided by the UK government. The Embassy of China in the UK wished to strengthen the dialogue and exchanges with HM Treasury and other relevant departments, so as to further the practical cooperation between China and the UK in infrastructure development. Lord Sassoon briefed on the plans of the UK government on infrastructure development and said that the UK government attached much importance to the development of the China-UK relations, regarded infrastructure development as an important area of China-UK cooperation. He agreed with Ambassador Liu’s view on strengthening the practical cooperation and said that HM Treasury was ready to push forward the practical cooperation between China and the UK in infrastructure by working with the Embassy. Zhou Xiaoming, Minister-Counsellor of Economic and Commercial Section of the Embassy, was present at the meeting.